"The initial journey towards pregnancy for my wife and I was a dark valley. We figured pregnancy would be a given, as we were both healthy individuals without any known risks. The month-to-month when dealing with infertility is quite taxing on your emotions. After numerous tests, treatment, and surgery, Laura was pregnant. She got pregnant during the least likely time, as her grandmother passed away just weeks prior to us learning of the pregnancy. Our first daughter, Corine, was born on October 15, 2015 and shares the same name as her late great-grandmother. Life has a funny way of surprising you. I think we both assumed that getting pregnant again after Corine would be another journey similar to our first experience. We were not even trying to get pregnant, so I was shocked when I came home to my daughter wearing a ‘big sister’ shirt. It was an even bigger shock when the baby’s arrival was on Corine’s birthday! We had a scare about 12 weeks in and spent a long 7 hours in the ER waiting and praying that the baby was ok. It is an exhausting experience to live through when you are completely in the dark. Laura had a subchorionic hemorrhage that increased the risk for miscarriage. The bleeding continued and we went on with everyday life. During her 22 week sonogram, the hemorrhage appeared to have resolved and we were back to a normal pregnancy, or so it would seem. The very next day, God had other plans and we spent a few more days in the hospital. Jane Rachel was born suddenly, and unexpectedly at 23 weeks and 3 days on June 21, 2017. What an eye opening experience for me this all was. My daughter was perfectly formed at 23 weeks. Every detail was unique and precious. Her body at 23 weeks was wonderfully and beautifully made. I loved her through and through. 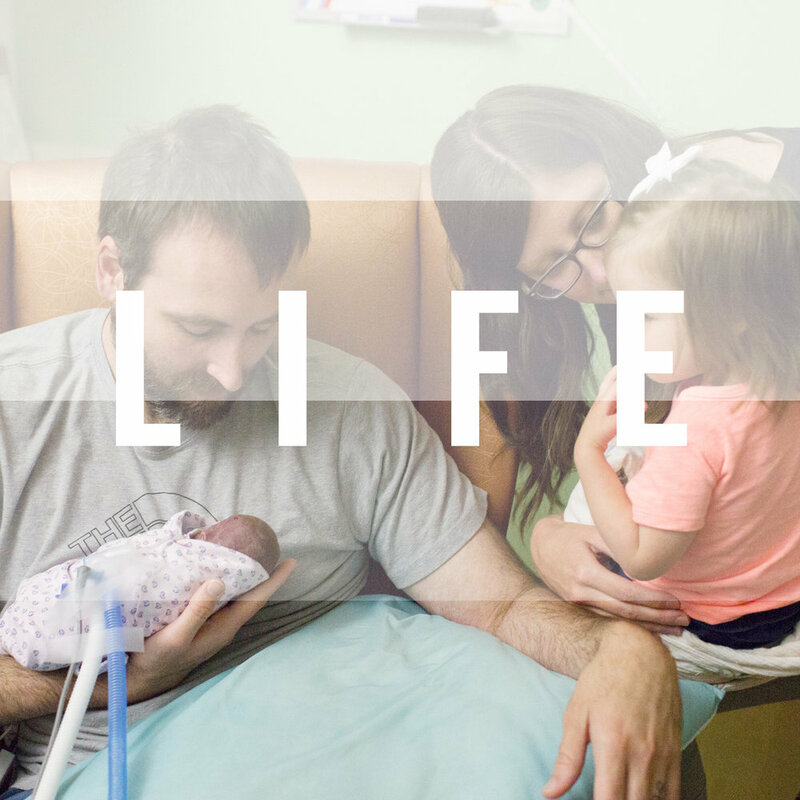 Our time in the NICU was not a roller coaster like we had been told, but just one large up, and then a swift and steady decline. Jane’s six short days on earth have forever changed me. I’m heartbroken, but I know I will see my daughter again one day. I miss her more than words can express, but I’m grateful that Christ redeems all things and makes them new. Jane Rachel, we will meet again."